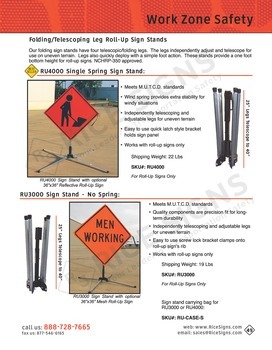 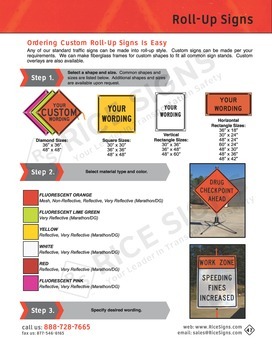 Construction Roll-Up Signs ready for immediate shipment. 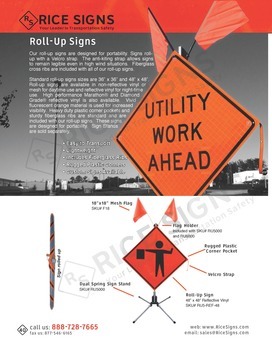 We have Road Work Ahead, Road Construction Ahead, Men Working, and many other mesh roll-up signs. 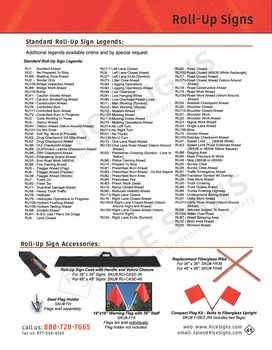 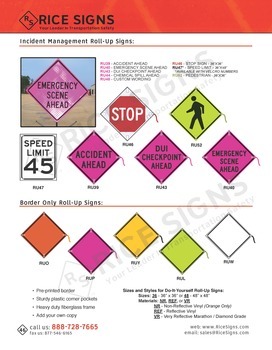 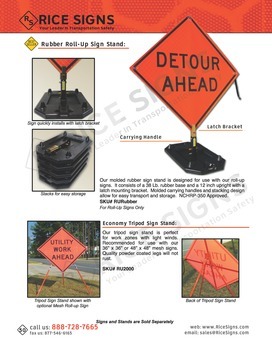 Rice Signs has hundreds of styles of roll-up mesh signs. 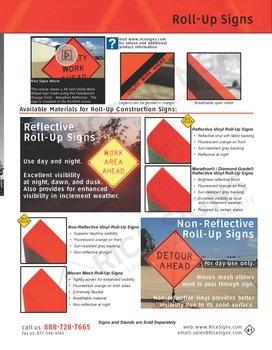 Non-reflective roll-up signs are for daytime use only, and reflective roll-up signs can be used during the day or night. 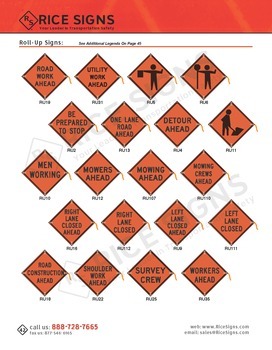 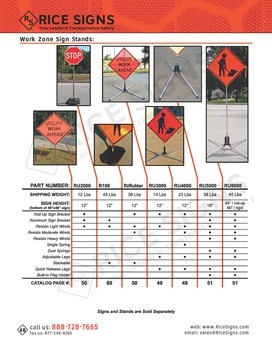 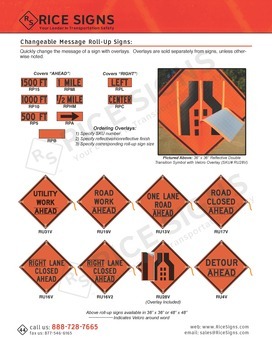 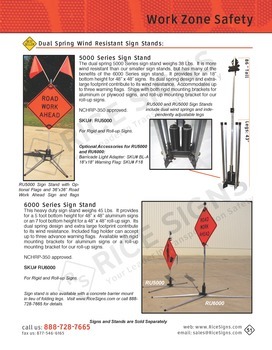 We have many sign legends available for road work and road construction projects listed on this page.